Qsar es-Seghir: An Archaeological View of Medieval Life presents the findings of archaeological investigations at Qsar es-Seghir, a medieval port midway between Tangier and Ceuta on the Moroccan shores of the Strait of Gibraltar. The archaeology and material inventory of Qsar es-Seghir are described, along with the reconstruction of the city based on archaeological analysis.Comprised of seven chap… ters, this book begins with an introduction to Qsar es-Seghir and an overview of the Moroccan-American Archaeological Project that was launched with the support of the Smithsonian Institution and the government of Morocco to study life in this ancient Islamic city during the medieval period. After documenting the history of Qsar es-Seghir, the Islamic city is described based on the accounts of geographers and historians and then as it emerged through the archaeological excavations. Emphasis is on the architecture and town plan as they reveal the organizing principles of the society and the daily lifeways of its inhabitants. 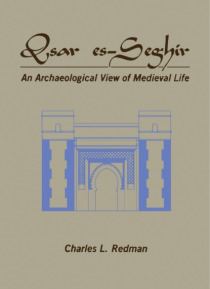 Subsequent chapters focus on the artifacts used by the people of Qsar es-Seghir, including tools, weapons, tableware, and jewelry; the activities that were conducted at Qsar es-Seghir; and the town plan, fortifications, monuments, and housing at Qsar es-Seghir as a Portuguese colony.This monograph should be of value to students, researchers, and practitioners in the fields of archaeology and anthropology, as well as to laypersons interested in medieval life.